Once again, blogging has given me an opportunity I might not have had otherwise. I am popping in today to share that you can now find Ten Feet Off Beale hand embroidery at Cotton Tails, an adorrrrable children's boutique in the Laurelwood Shopping Center. 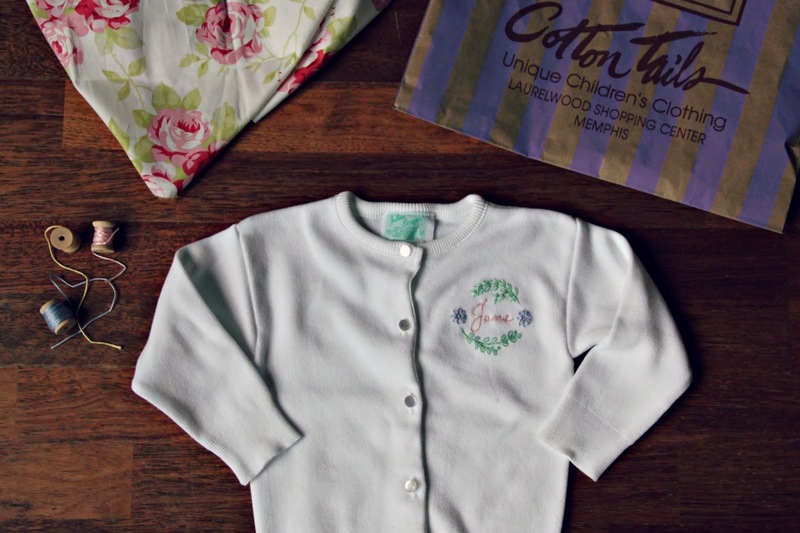 So, if you wanted a sweet sweater for a little boy or girl, go to Cotton Tails! I am stitching custom sweaters with names or monograms on sweaters as well as bloomers for baby girls only available there. There is also a Baby's First Noel ornament available there that I don't have listed in my Etsy shop! Memphis Moms, if you've never shopped at Cotton Tails your absolutely missing out. It's way too cute. Love Cottontails! What an awesome opportunity!